It all started we don’t know exactly when and how... what we know is a dream, which Triyambakeshwari had two years ago. 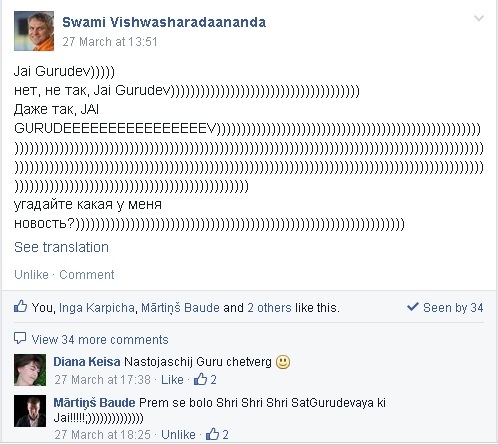 She told our Swami Vishwasharadaananda that she saw a dream, where she was helping to build a Rama Temple in Latvia. 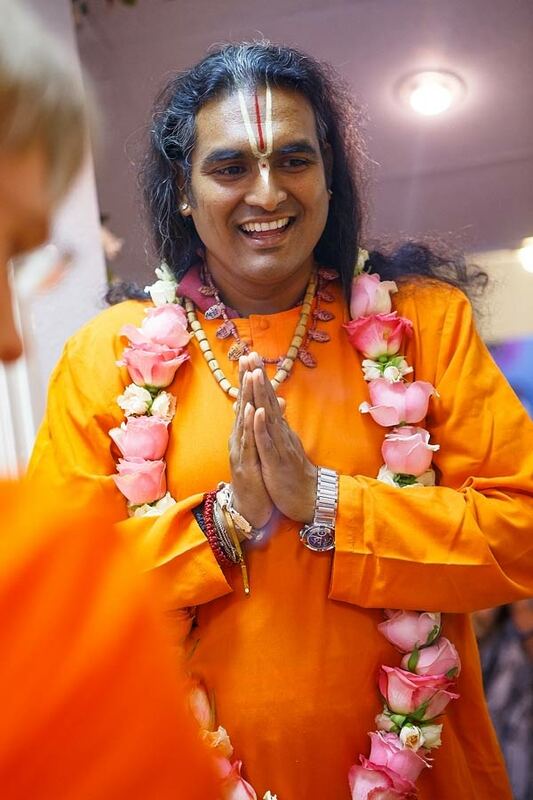 After some time Guruji told our Swami that the Temple in Latvia we bear in mind should be for Rama. 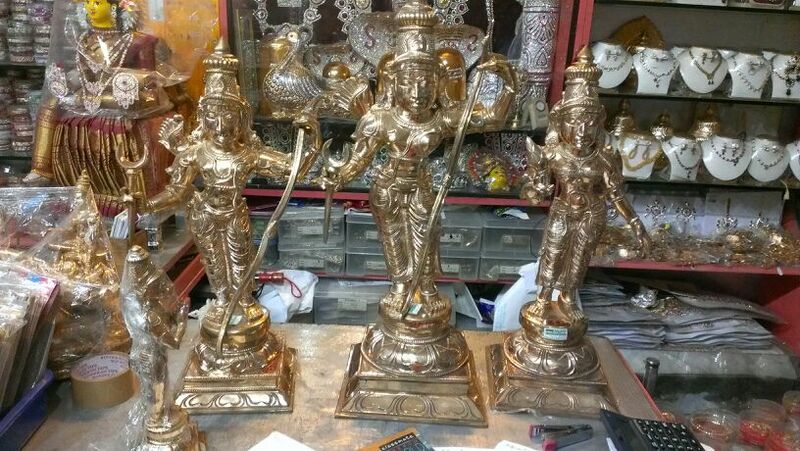 Murtis of Sita, Ram, Lakshman and Hanuman for the Temple which were bought in Chennai during pilgrimage with Guruji in November 2013 are made of 5 metals (Pancha Tattva). They are breathtakingly beautiful and we couldn’t wait to see them in real life. 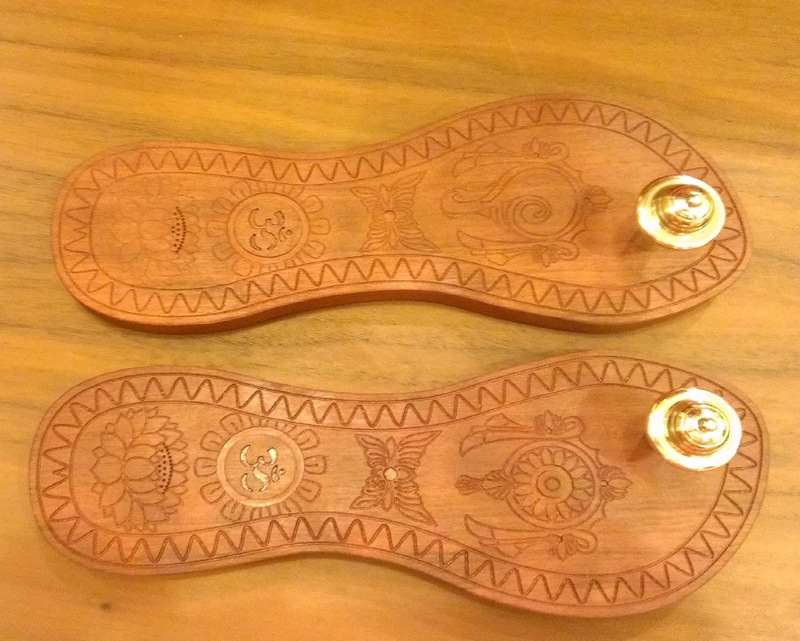 We had to be patient though as the first time we would see them would be on Ram Navami. 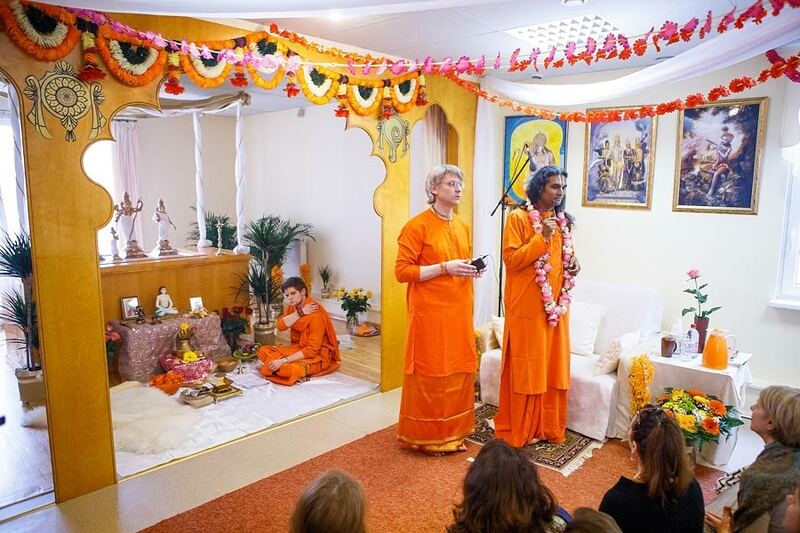 During Christmas celebrations in Shree Peetha Nilaya we had a brief conversation with Guruji in entrance hall. 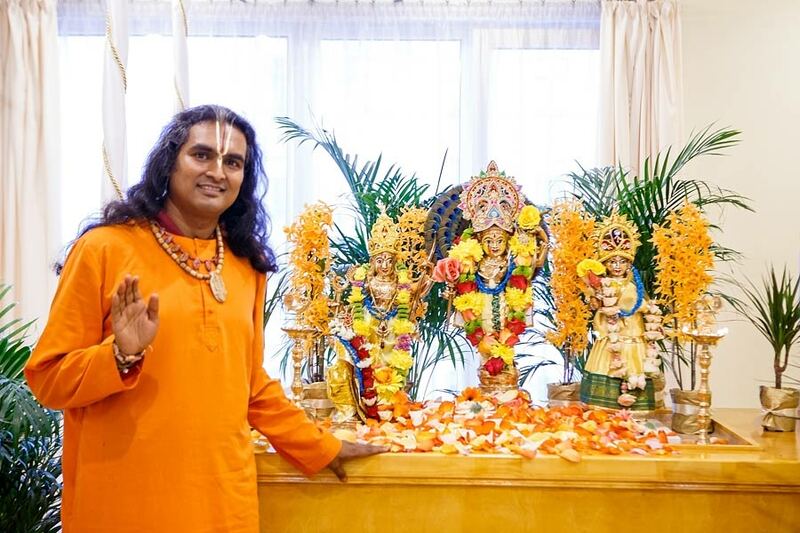 He asked: "I heard that you are having a Rama temple in Riga.” We took a chance to ask Guruji to come to inaugurate the Temple and adding that we miss Him very much. He looked like He wasn’t going to come but then smiled His beautiful smile and said in a rush: "We’ll see, but only for one day.” This sounded like a promise and we were happy. After Mahashivaratri celebrations, as we were heading to the airport, Swami Vishwasharadaananda told us the good news that Guruji indeed promised to come some time in April for one day to inaugurate the Temple. We had just over a month to make a proper Hindu Temple. 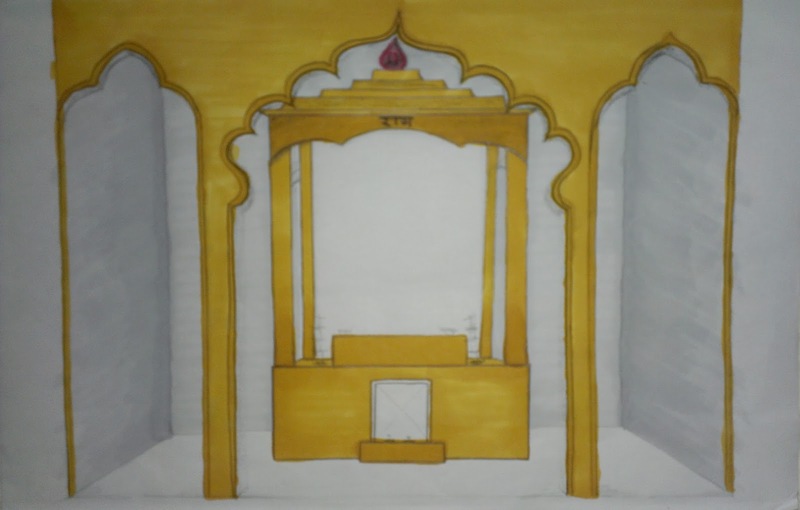 At that moment we only had our BM Center and sketch of mulasthan (altar) made by Pankajaananda and approved by Guruji. It all had to become a temple. We weren’t even sure where it will be. 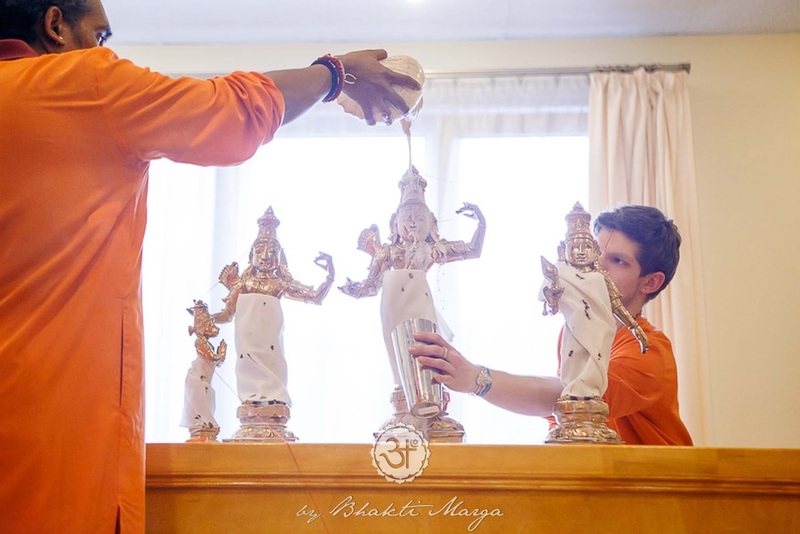 Will we transform our Bhakti Marga center into the Temple? Or will we look for a new place? SO many things had to be done. You can imagine! But the best in this all was the notion that we are just instruments. We are serving our Guru and He will take care of everything, as He already knows all: where the Temple will be, how it will look like etc. 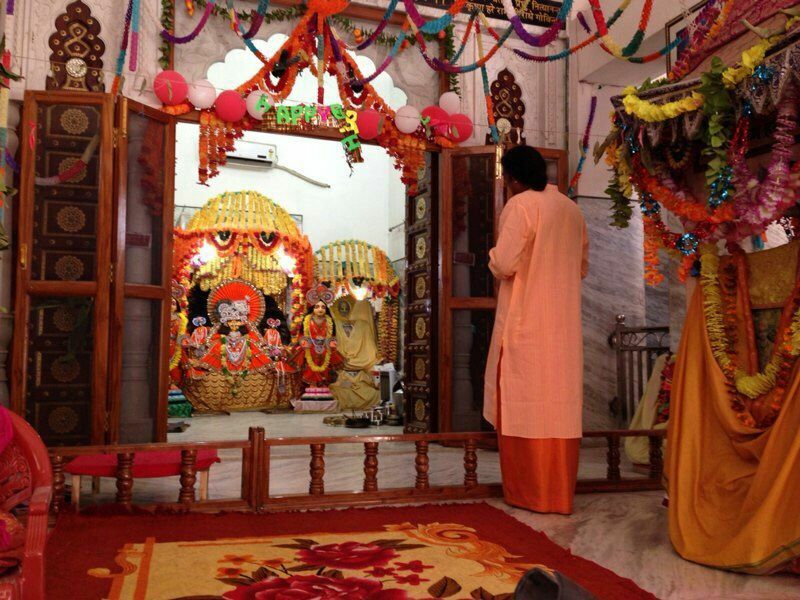 We just had to attune to Him and let Him guide us, and feel the bliss of being His hands and in His hands. We started our preparations. 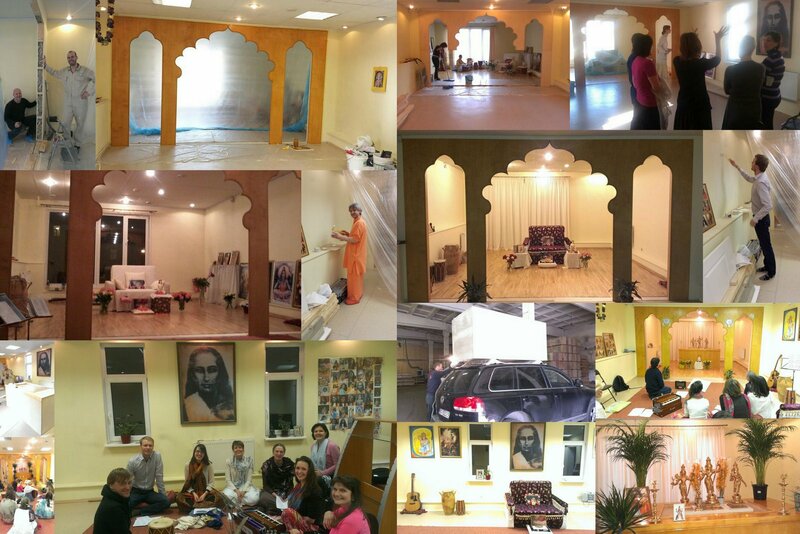 Our Bhakti Marga Center changed, expanded; all Prabhus and Matajis were involved in the process. While Prabhus were doing construction works, Inga was learning and teaching us Rama Bhajans; Hemangi was sewing curtains and dresses for the deities; Anete and Janis (Prabhus were helping also Matajis and vice versa) in London (thank you, devotees from BM UK, for helping Anete and Janis and us) were buying decorations and jewelry for Deities; Prebhavani and Tamarija were responsible for Prasad; Ousha was involved in everything else concerning the Temple; Swami Vishwasharadananda was the heart of everything, coordinating it all including doing Kalash Pujas on Saturdays and Sundays. The last two weeks passed in a whirlpool. Week before the event Guruji told that He will also give a Satsang. So we had to split into two teams,- one was responsible for the Temple; another for the Satsang, for which we rented another, more spacious place. 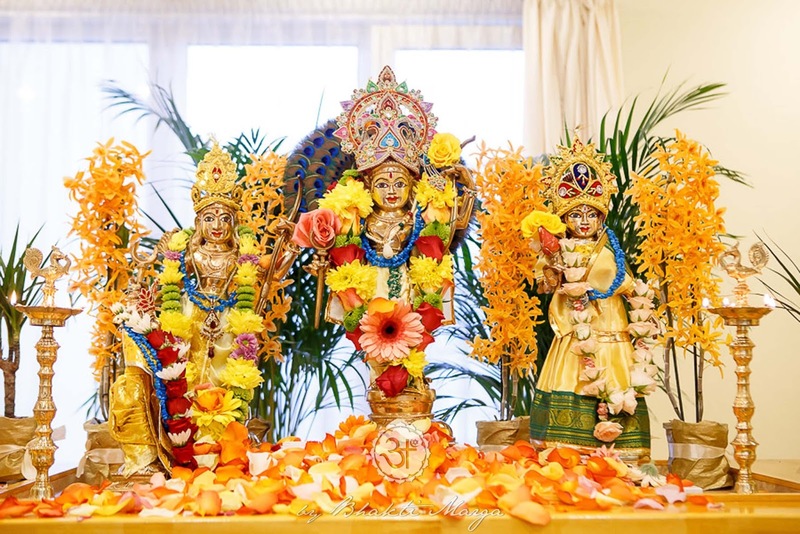 Up to now we had not publicly announced about inauguration of our Temple, as we calculated that only some 50 people would be able to comfortably sit, sing and dance in the hall. Now with a Satsang we had to go public, wanting more people to be able to receive Guruji’s blessing. Accordingly we chose to do like in SPN – two shifts for the inauguration ceremony. Ram Navami was so magnificent here with us. It was felt that auspicious moment of opening is coming soon. 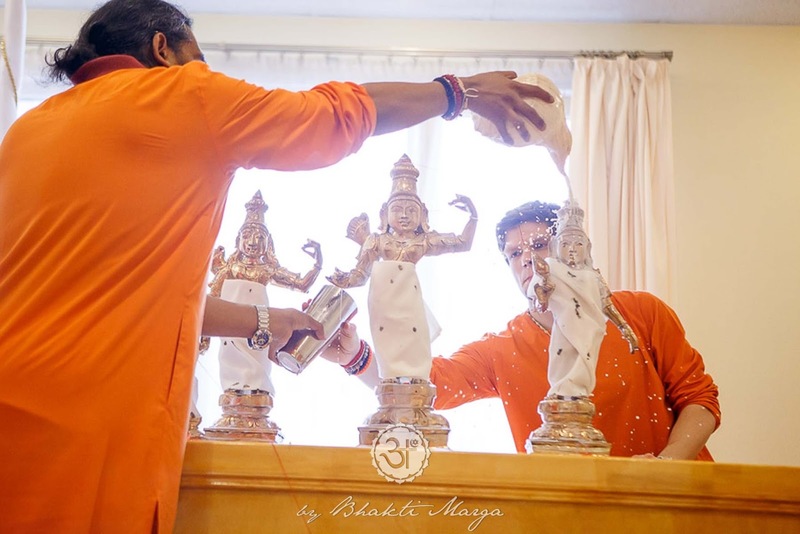 On Wednesday Swami Vishwakeshavaananda came from SPN to help uz with the final preparations for the Temple, to check if everything is ok, and if we have everything neccessary for pujas etc. These were the last days before The Event... Every night we were staying late in the Temple, singing, learning, decorating, cleaning, planning the organization of both events. For example, on Friday night we realized that we will have to sing Ram Aarati which we don’t know yet, so Inga cancelled her late night studio work and two of us were trying to learn the song. 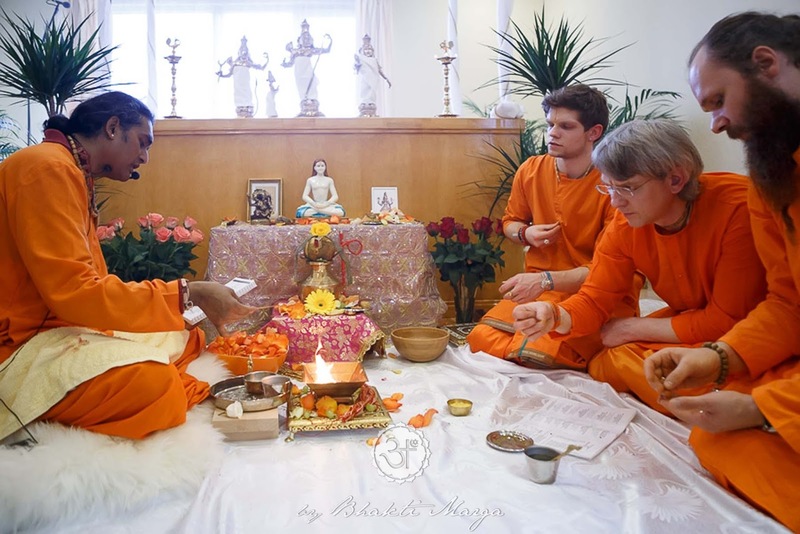 At one point we felt like we won´t be able to learn it properly but we had the very rare opportunity to talk to Swami Keshava who was extremely supportive. In SPN you can only see him in the temple, if you go to sing the mantra in the evening. Then he is singing with you while preparing everything for putting Deities to sleep. And that’s it. But here he sat with us, played songs from his phone, sang and played on harmonium, joked, told us about Ram and was so very calm and loving! Those few of us who experienced this blessing, felt very lucky and happy. 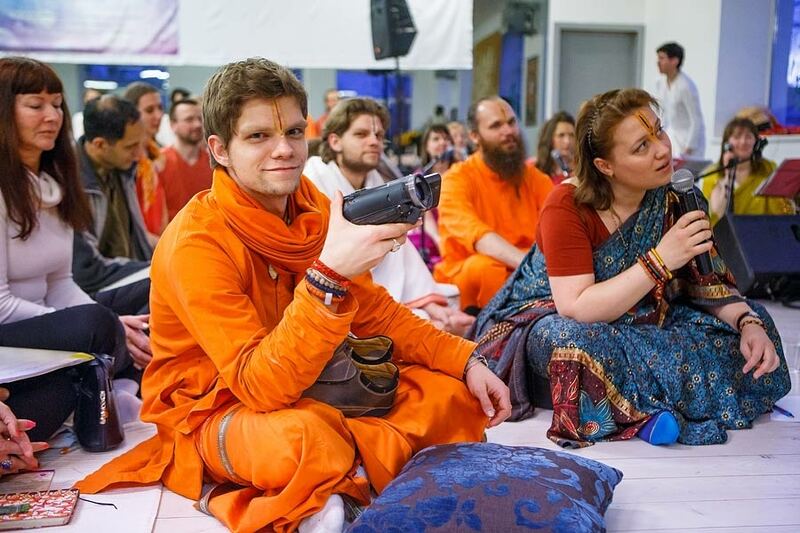 On Friday and Saturday we were happy to welcome our brothers and sisters from neighboring Russia and Belarussia, everybody got a seva job, helped a lot and could feel part of Rama’s servants. Thanks to all of you for that. On Sunday at 1:00 PM the inauguration of the Temple started. Guruji’s plane landed at 1:30 PM. He was welcomed by Satsang team at the airport, while Temple team was already starting the celebrations and waiting anxiously for Guruji(/Ram) to appear. "Rama stands for dharma, righteousness. He was a righteous king and He was just. He was compassionate. The Name Ram consists of two syllables: Ra stands for Narayana and Am stands for Shiva. So Ram Nam stands for this unity. 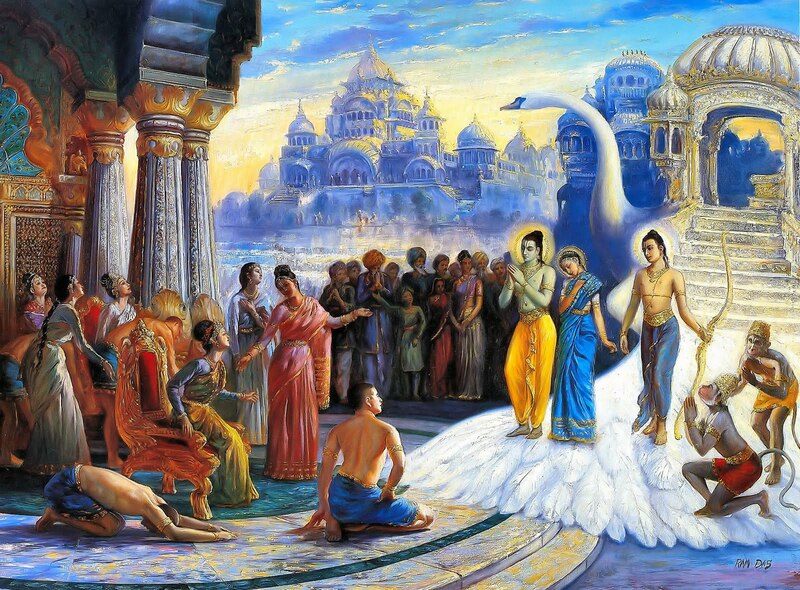 When Lord Rama had to cross over to Lanka (nowadays Sri Lanka), He did His penance to Shiva showing that Lord loves His bhakta, His devotee and that they go together. The Lord can’t be a Lord without a devotee and devotee can’t be a devotee without God. And this is the eternal connection that one has. Firstly to the Guru. And the Guru will lead the way to Lord until you have the realization of knowing that there is no difference between Guru and Lord. The Guru is the personification of the Lord Himself guiding you. So Rama stands for that dharma. Dharma for unifying. As a King, Rama was unifying. And whenever we sing the name of Ram, it is unifying our mind (Shiva Tattva) with heart (Vishnu Tattva). Until one has not overcome the mind, as the Gita said, one can’t move on a spiritual path - when one’s mind is still attached to the outside world. Only when the mind is unified with the heart, one can see. Then only, the Lord can reveal Himself - when you move away from this. After this beautiful speech, Guruji continued with ceremonies and we sang the name of Rama, unifying our mind with our heart. Guruji was lovingly guiding us, showing us what to do and when, correcting when we did something inaccurately. He was Love incarnate. He was Ram. 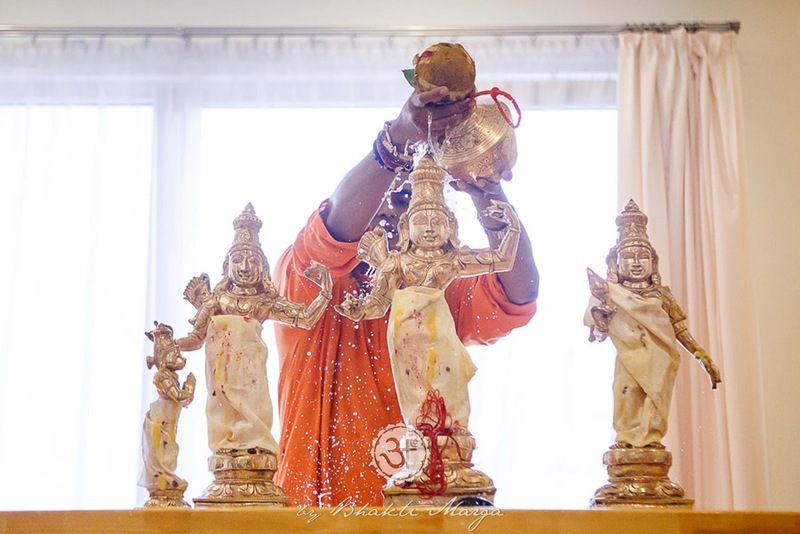 At one point He explained that now He will perform the Prana Pratishta ceremony – infusing Prana into statues, so they become Rama, Sita, Lakshman and Hanumanji Themselves. It was so very beautiful! 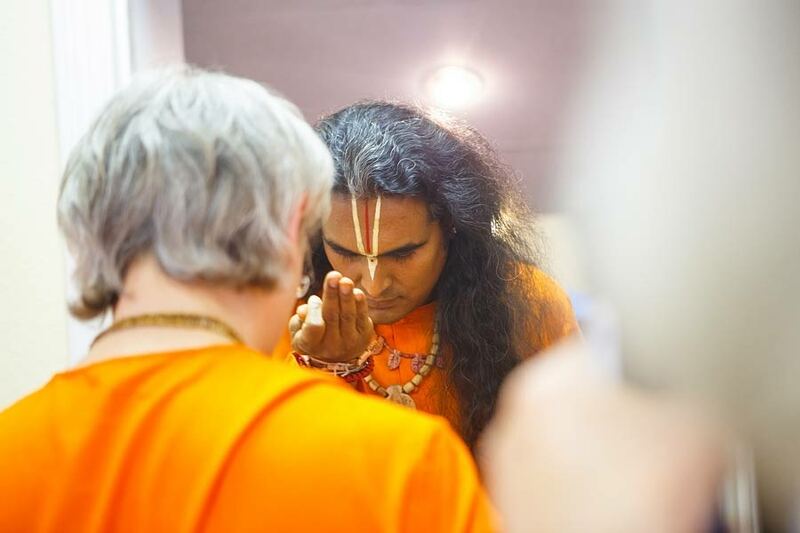 Guruji was chanting mantras and Swami Vishwakeshavaananda was touching with the yagna the related parts of murtis. Guruji asked us to sing the Narayana bhajan which we were singing, inviting Him to come. It was a magical moment. We were inviting Ram, but in our hearts it was all together - Narayana, Rama and most of all our beloved Gurudev which we were calling to come and stay with us, so we can eternally serve Him. 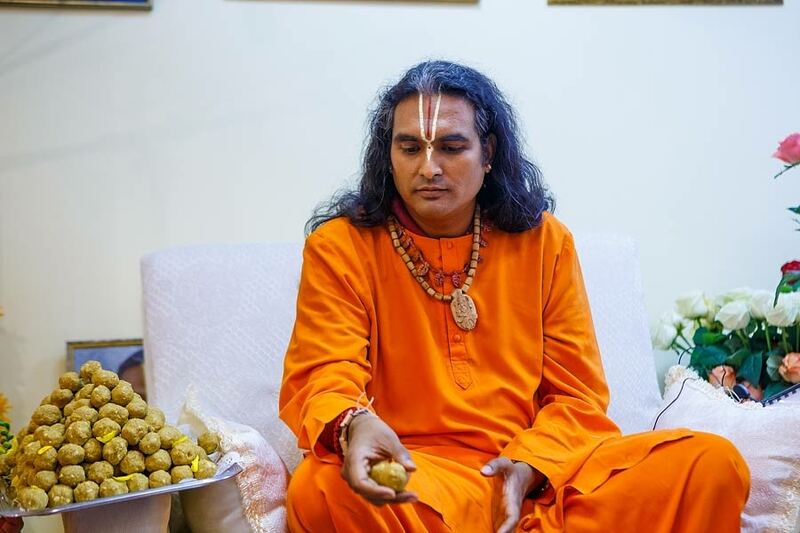 Guruji then gave the final speech after which it was possible to approach Deities and have a Darshan and also Prasad from the hands of Guruji. 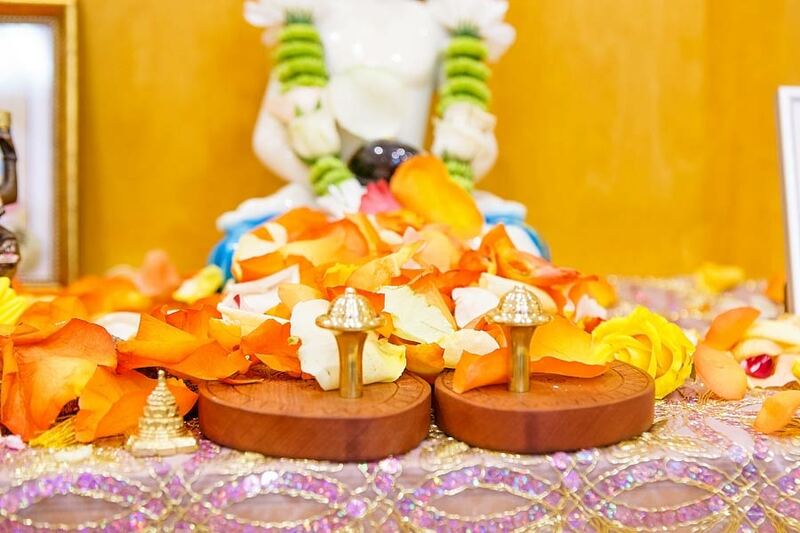 "All of you have the grace of having Ramachandra here and also the blissful one, who spreads the message and Love... His love on all of you so that you fullfil your life’s purpose. And whatever you wish through His grace you may achieve. But the most important thing in life is to attain Him. Don’t dance in Maya! Everything around is Maya! Yesterday I was listening to one verse of Surdas’ poem. One part said - "People say to love this and love that, to love the world to have this and that. What is the use of all that if everything is You, if I just love you and you fulfill my life’s purpose." So like Surdasji said – to love God is the ultimate. To attain Him - to receive His grace - is your duty. That’s the dharma. That’s why you incarnate on Earth. And it is lucky to know about it, because after so many lives, you get the grace of knowing Him, serving Him. That’s not something like, "Ah, I am born on Earth directly. I jump and become Vaishnava, I jump and become spiritual". No, it’s not like that. It is many lives of service to Lord, many lives you have polished. Like when you find gold deep down from the earth, you can’t make jewelry directly out of it. At first, you have to purify it. And gold goes through many fires, until it becomes the beautiful jewelry like you are wearing. Like that, your soul also has gone through many lives of purification. Until you receive the grace of knowing the Lord, serving Him, loving Him. Because in His love there is no limit. Everybody can love Him the way they want. He doesn’t say: You can love me only one way. No. You can love him as a child, as lover, as a father. This is up to you. This is your choice. You can have your personal relationship with Him. This is not something as - "God is there and I am here". No! He is seated inside your heart and He is calling. Love Him the way you want and He will come to you accordingly. Surdas Ji was blind, but every day, when the priest would dress the Deity in the Temple, he would sing the Glory as if he was seeing the Lord with his eyes, like other people see. He would describe in great detail each jewelry which the Deity was wearing and people would ask – how come he knows it!? He must be lying, he is telling everybody that he is blind, so people would pity him, but in reality he can see. So they wanted to test him. One fine day the pujari of the temple didn’t dress Krishna, he left Him naked. They wanted to see the reaction of Surdas. He didn’t tell him nothing and everybody was waiting. The Pujari said to the people: It’s time now, soon the temple will be open. At that moment Surdas exclaimed, "Oh My Lord, they forgot to dress you! You are naked, but in even your nakedness you are the most beautiful." So then they knew seeing that nothing is open yet, that Surdas is revealing the truth. He saw not with his physical eyes, but with his inner eyes. He saw inside the temple. Like that many people have eyes, but yet they don’t see. Even Christ said it so many times: "If you have eyes, you will see." But yet people don’t realize that. When you look with your heart, you see everything more clearly then with your physical eyes. And that's what the Lord said in Gita: "See me in everything, see me in whatever you do and you shall attain me". He said it to Arjun: "It’s not about the food what you eat, it’s not about what you do. But it’s about how you do it. With what intention you do it." It’s very important. He didn’t say not to do your duty. He said, "Firstly you have to do your duty - your dharma is very important - but don’t hang on the fruit of your actions. Don’t hang on the glory which comes with it, because it’s all your downfall." 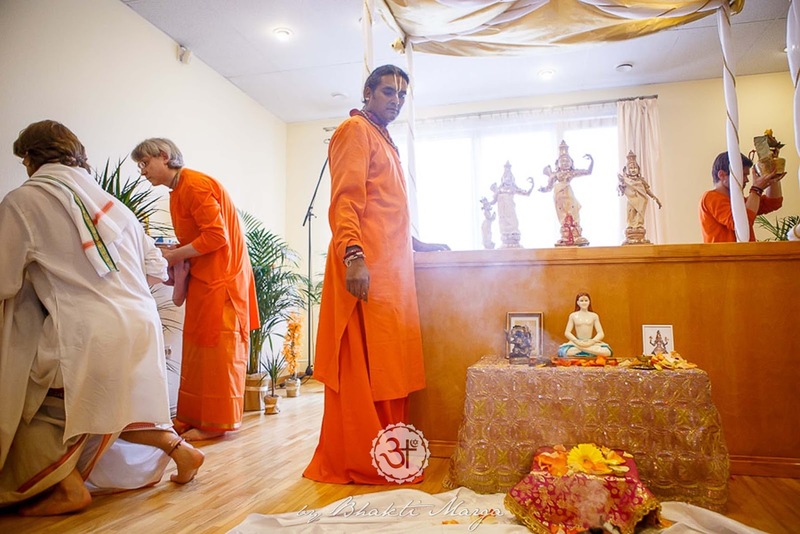 At that point most of us left for the other part of the event – for Satsang, as it was already 6:00 PM and Satsang was starting at 7:00 PM and we had to welcome guests.